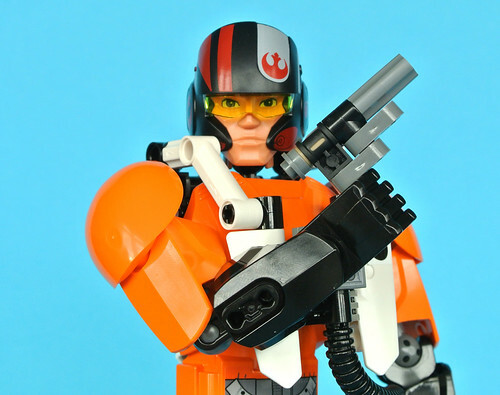 The second wave of Buildable Figures continues to impress with 75115 Poe Dameron. This set contains 104 pieces and is priced at £19.99, so is among the largest of the new range. This is an odd choice as the character would be better suited to a slightly shorter figure in order to better compare with other models. I must confess that I was not particularly excited by this figure originally but it has surpassed my expectations on the whole. Further to my liking for the character of Poe in the movie I also think this is a fairly impressive model as there is plenty of detail and the head mould looks particularly brilliant. However, I must acknowledge that this figure is not without its flaws.